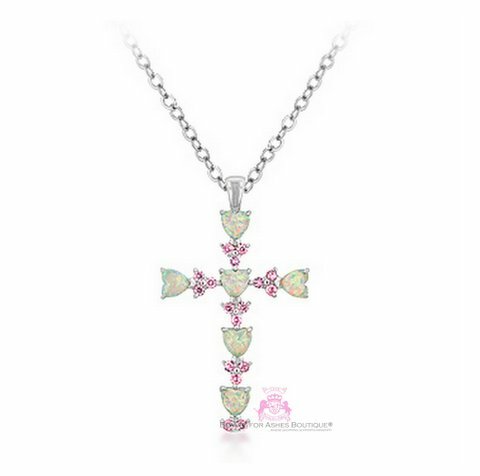 Sterling Silver, Genuine Fire opals in the shape of hearts parade up and down this cross pendant, 6 in all, they each measure 5mm across, each alternating a segment of cubic zirconias in pink bunched into trios. This extraordinary cross measures 1" x 1 3/4", and the link chain measures 16" plus a 2" extension. The chain is base metal with white gold rhodium bonding.